A stunning property set out over 4 floors, boasting a open-plan, contemporary design and magnificent views over Polzeath Beach. You are within walking distance of the famous Polzeath beach, and just a short drive from watersports haven Rock, and the family friendly Daymer Bay. 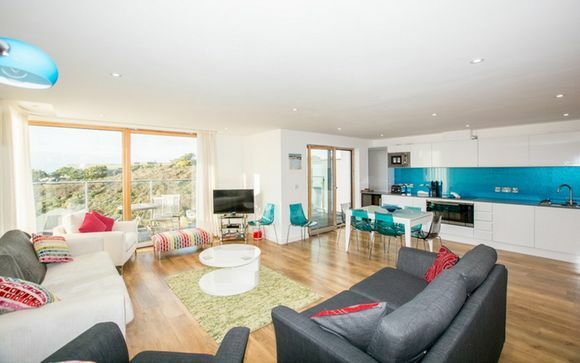 This contemporary house is situated within easy walking distance of the famous Polzeath beach. With its vast expanse of sand and brilliant surf, watsersports is the most popular pastime here! There are two surf schools on the beach who offer equipment hire, lessons and practical beach-side advice. 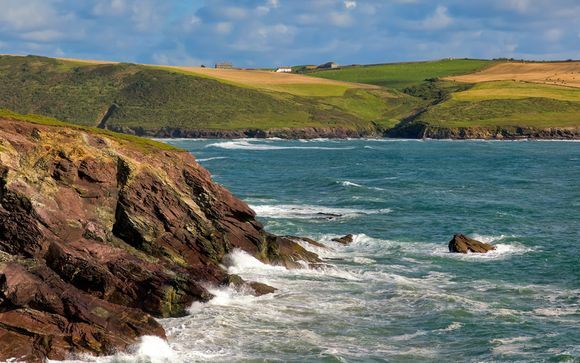 Polzeath is also home to many culinary hotspots so is sure to be a hit with foodies. You can also take a short ferry from Rock to pretty Padstow (25 minutes) to try Rick Stein's famous seafood restaurant. Waterbeach is also only a short drive to the water-sports haven of Rock and the family friendly beach at Daymer Bay. This offer is based on a 4 bed house for up to 8 adults. Boasting a contemporary, open-plan design spread over 4 floors, this beach-side property is the perfect base camp for a family or group of friends looking to explore the beautiful local area. The spacious kitchen/living area offers exceptional sea views and two sea-facing balconies. Most of the four bedrooms also have sea views, and each has a modern bathroom. Some rooms have the added luxury of a delightful sun terrace. Second Floor: Open plan kitchen/dining area/living room with fridge/freezer/dishwasher/electric oven/hob/wine cooler and microwave, large sun balcony, cloakroom. Ground Floor: sitting room with sofa, TV & DVD player, wet room with shower, utility room with washing machine, tumble drier, additional fridge/freezer and microwave. Third Floor - Bedroom 2 king with en suite shower room and sun balcony with sea views. First Floor – Bedroom 3 twin room with balcony and sea views, en suite shower room. 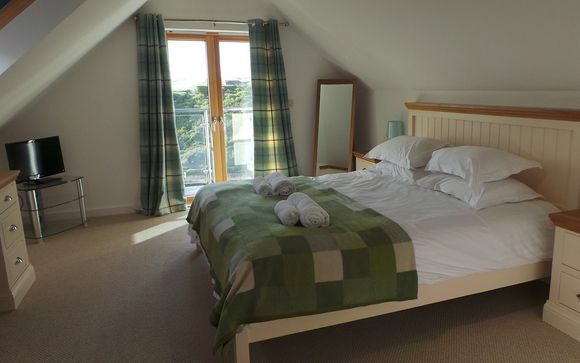 First Floor – Bedroom 4 double with balcony and sea views, en suite bathroom with bath and overhead shower.